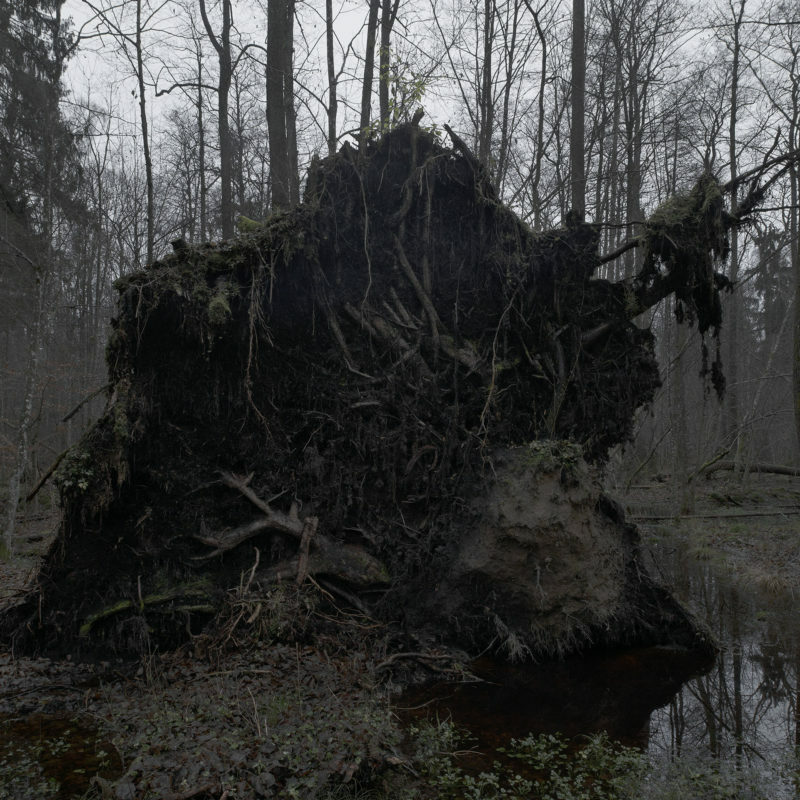 The Białowieża Forest has been inspiring myths of wilderness for centuries. Although some parts have preserved a primeval character, countless human interferences have left their marks in the forest. The fate of this precious ecosystem has always been closely related to changing occupations and power structures. Due to human decisionmaking, some parts of the old forest still exist. In the 16th century, when most European woods had already been sacrificed to civilisation, the Białowieża Forest was put under strict protection in order to become a royal hunting reserve. A number of oaks have witnessed the turbulent times ever since. The trees were named after kings, queens, and nobility who might have been alive when their acorns germinated. Compared to such natural monuments, any human lifespan appears like a transitory episode. While many of these royal oaks are in decay today, the number of younger trees with similar life expectations is decreasing dramatically. 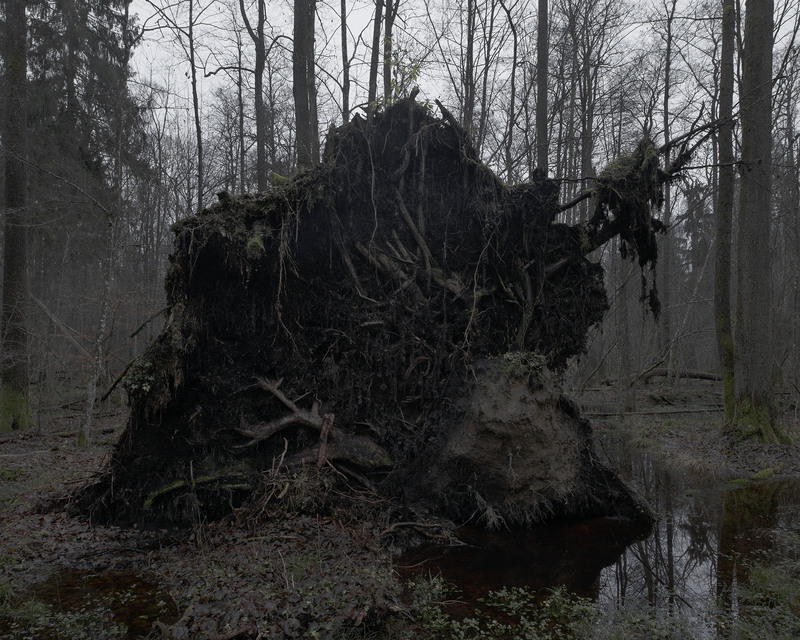 Axel Braun’s long-term project Disturbed Harmonies [Towards an Understanding of Anthropocene Landscapes] is a collection of artistic case studies on the complex relationship between humanity and nature. Anthropocentric worldviews have entitled humanity to have dominion over nature in order to satisfy our growing needs. The result is a geological epoch that is defined by the noxious effects of human action on the Earth system. In his case studies, Axel Braun combines found footage with his own photo and video productions. He presents the material in site-specific mixed media installations. His superposed layers of visuals and texts aim to reflect on the complex and often controversial discourses he encounters. Axel Braun studied photography at the Folkwang University of the Arts, Essen, and fine arts at the Écolenationalesupérieure des Beaux-Arts de Paris. His artistic research deals with controversial infrastructure projects, tautology as an approach to understand reality, as well as failed utopia in art and architecture. Currently, he is pursuing the long-term project Disturbed Harmonies [Towards an Understanding of Anthropocene Landscapes].